This awesome application will help you to get an eye makeover. 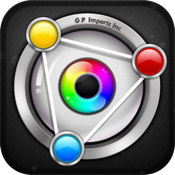 Using the tools provided you will be able to easily adjust the eye color in your pictures. - Very real looking eye coloring. - Several tools to enhance effect.